Trailing by 19 points to England in Sunday’s Commonwealth Games bronze medal match, Canada’s women’s rugby sevens team showed plenty of heart in their comeback attempt. Alas, it wasn’t enough however as Canada’s ladies fell 24-19 and left Australia’s Gold Coast just shy of the podium. 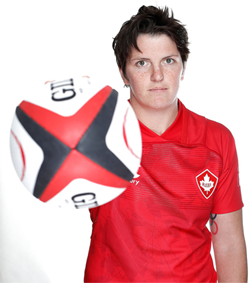 Napanee’s Britt Benn scored a try in Canada’s opening match, helping her team to a 29-0 win over South Africa. Canada followed that up by doubling Kenya 24-12. Canada closed out their pool by facing their rivals from New Zealand, losing 24-7. Their first two wins were enough to advance them to the semifinals however, where they met Australia. Once again the Canadian offense was limited to just a single try as they fell 33-7. That placed them in the bronze medal game where they nearly overcame their slow start to match the bronze medal finish they posted at the Olympic games in Rio de Janeiro. Trailing 19-5 at the half, Canada outscored their opponents 14-5 in the second half and were close to punching in a try in the final seconds, but couldn’t complete the play. Though just short of a medal, this team still made history as Canada’s first ever women’s rugby seven teams in a Commonwealth Games tournament. Benn and her teammates will now return to HSBC World Series play, with the next leg scheduled to take place in Kitakyushu, Japan.